Ron Hutchinson won the first of his 3 ACSA Australian Title races in the 1983/1984 season and was generous with his time to tell us about it. 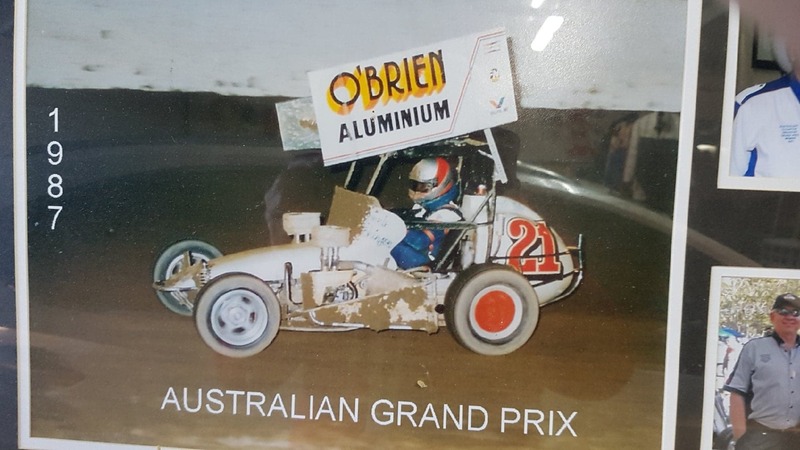 Hutchinson had purchased an ex Alan Streader compact speedcar (after 16 years of karting at the top level) in the lead up to that title race which was run at Liverpool. It was powered by a 900cc injected Kawasaki. 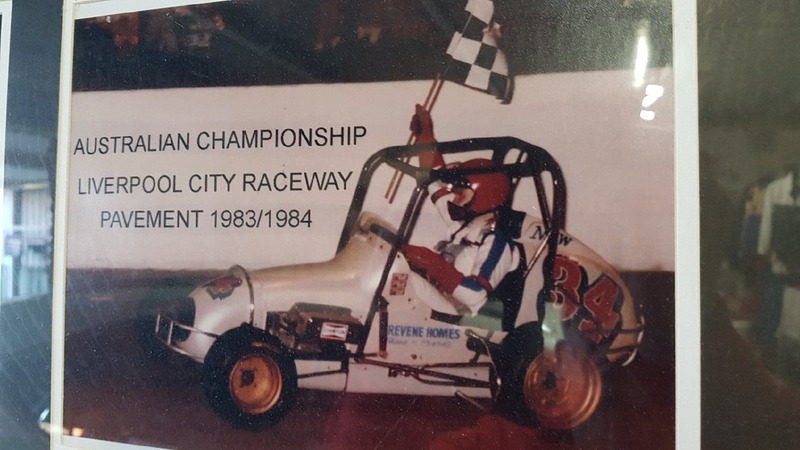 Hutchinson was honoured to be inducted into the Liverpool City Raceway Hall of Fame in 2013 and in 2015 Peter White’s Speedway World publication recognized Hutchinson as the only speedway driver to win 3 consecutive Australian Titles on 3 different track surfaces. 1) Races are won in the workshop. I recognized this while competing at the 7th Hong Hong Kart Prix in 1973. 2) Races can’t be won in the 1st corner… only lost there. 3) Safety is paramount. Do not leave your brains in your toolbox! It’s important to come home safely. 4) Enjoy the ride regardless if you win or loose. Should you be around the Bathurst area you may wish to view Hutchinson’s restored 1st Compact from his first ACSA Australian Title at the Bathurst Motor Museum. Hutchinson wishes everyone a safe journey and a great Australian Championship. 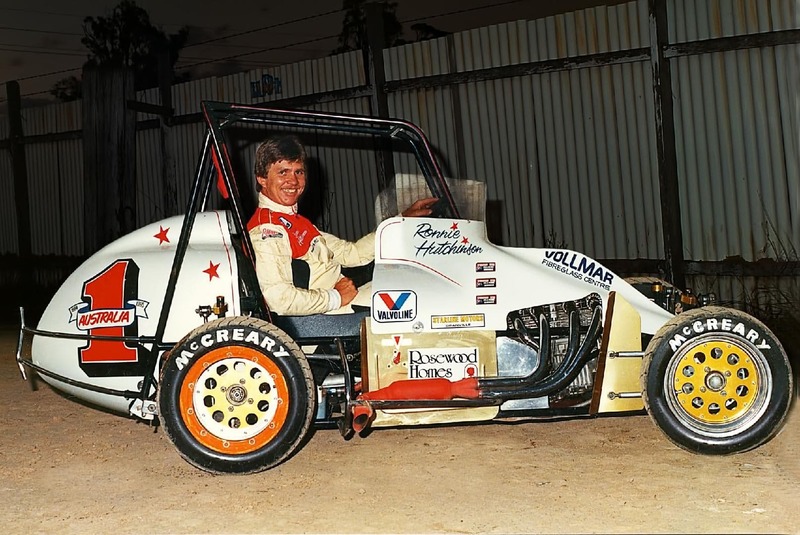 Photos attached are of Ron in his winning 1983 car, 1984/1985 Compact and his Australian Speedcar Grand Prix Car.